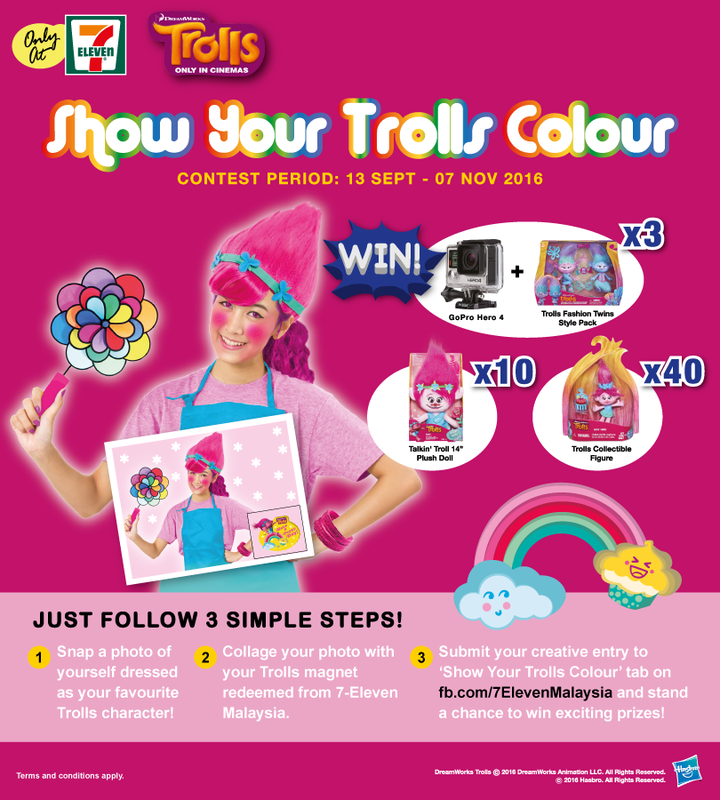 Win a Go Pro Hero 4 with Trolls from 7-Eleven Malaysia! You can get this card at all 7-Eleven stores and or simply download it and print it. Here is the link (bit.ly/TrollsCollectorsCard). 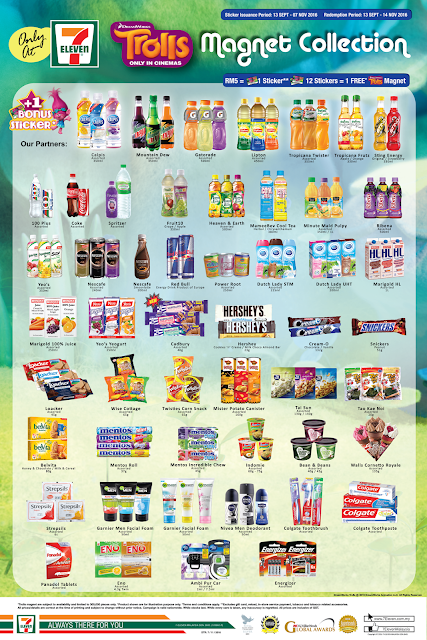 You will receive one (1) sticker when you make a minimum purchase of RM5 and above in 7-Eleven stores. I got some tips for you, to speed up the process, I encourage you to include these listed partner products (bit.ly/TrollsPartnerProducts) / (shown in below poster) in your purchase and you will receive a BONUS STICKER.So if you make a purchase of RM5 with one (1) partner product listed in the link above, you are entitled with one (1) bonus sticker. So, you will get two (2) instead of one (1) sticker. 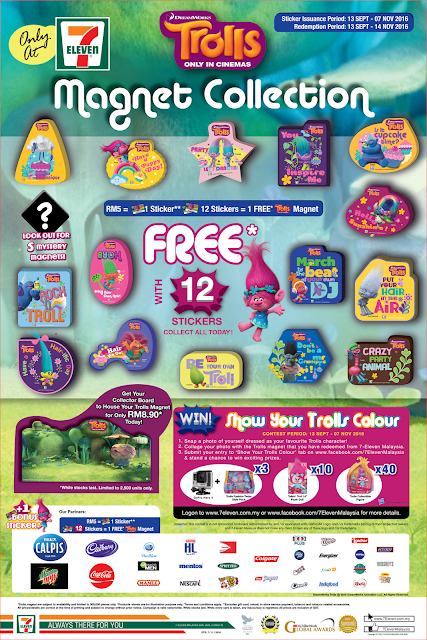 The promotion Period Sticker Issuance Period starts from 13 September – 7 November 2016. The redemption period starts from 13 September – 14 November 2016. Ok next Do you want a Go Pro Hero 4 & Trolls Fashion Twins Style Pack? Enter the Show Your Trolls Colour Contest . 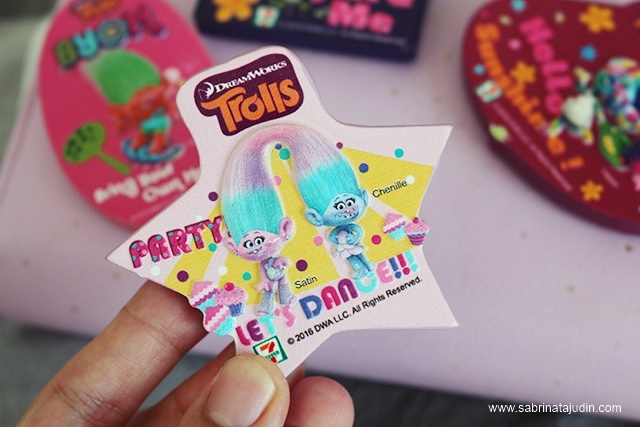 When you have successfully redeemed a Trolls magnet you can take a picture with it and win it! 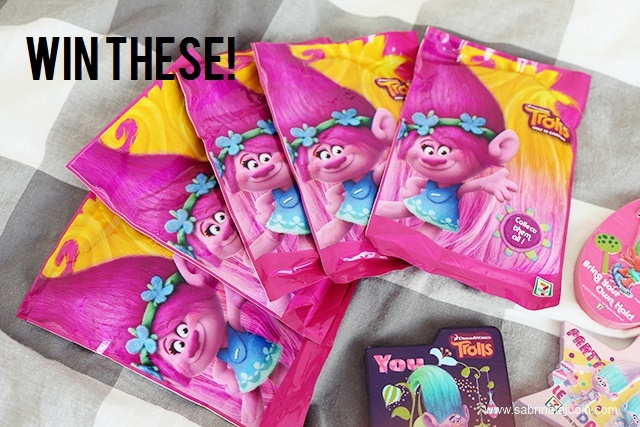 Step 1: Snap a photo of yourself dressed as your favorite Trolls character. *One (1) Trolls magnet can only be used for one (1) entry. I also have a little giveaway for you guys! You can win these cute magnets too! Check out my instagram here - https://www.instagram.com/sabrinatajudin/ and find out more!